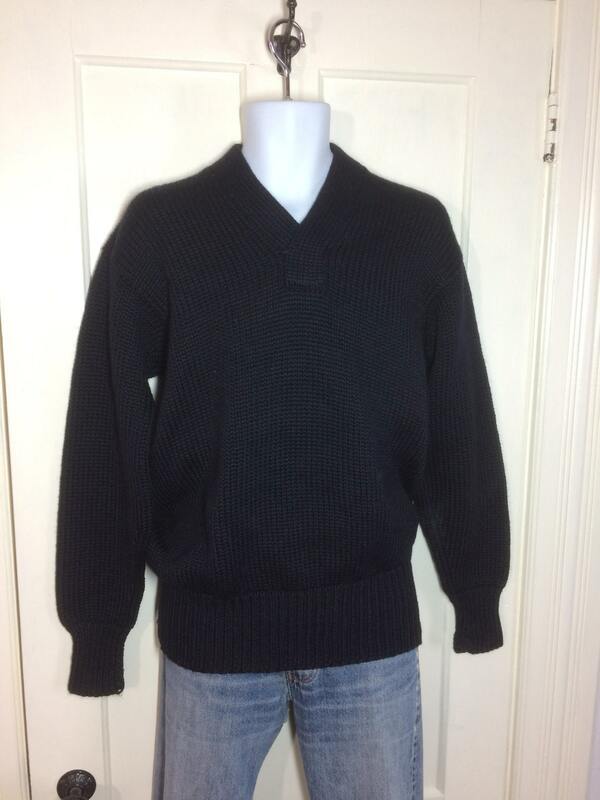 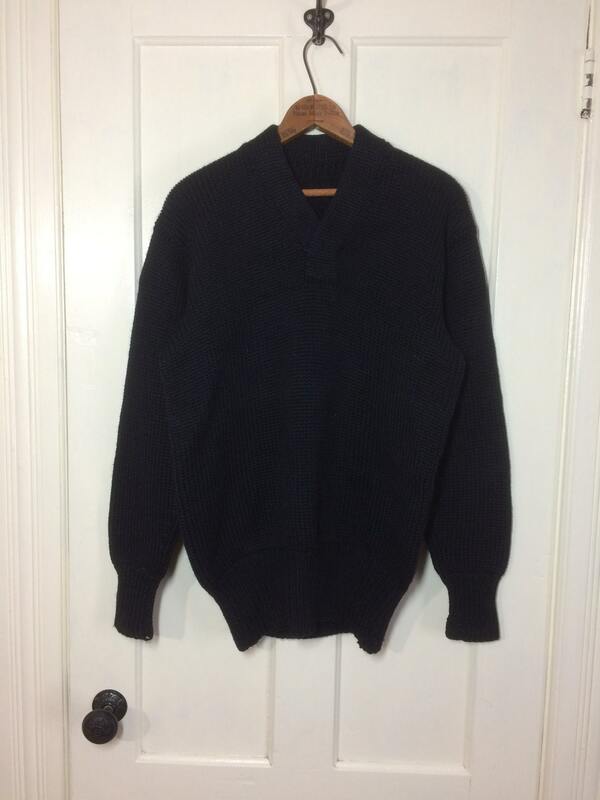 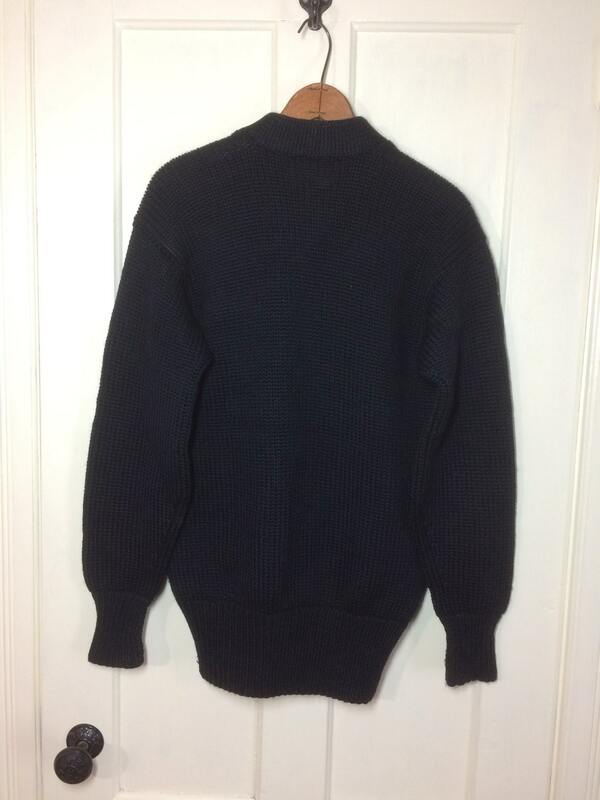 Here's a thick, plush wool military sweater from the 1940s. 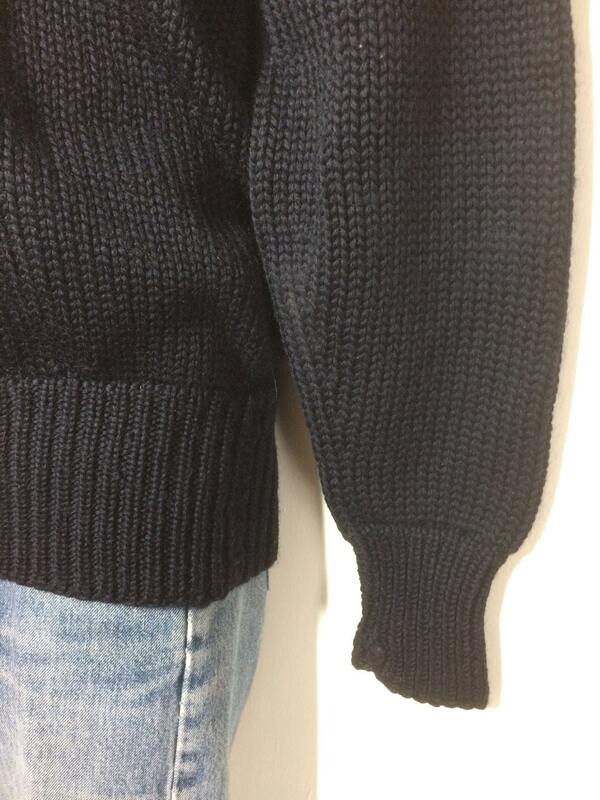 The color is very dark navy blue, almost black. 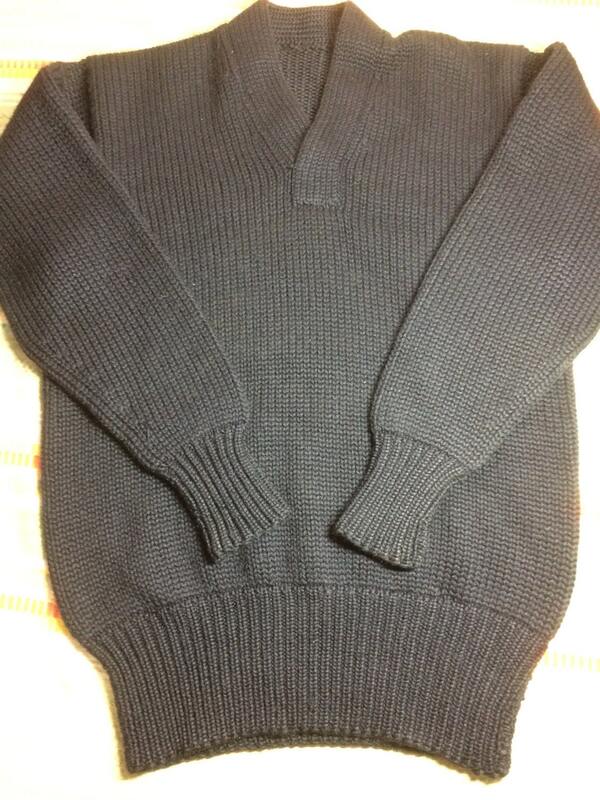 There's an occasional snag, otherwise it's in excellent, used condition.